An Grianan Aileach, North Donegal. Considering a private tour of Ireland?. 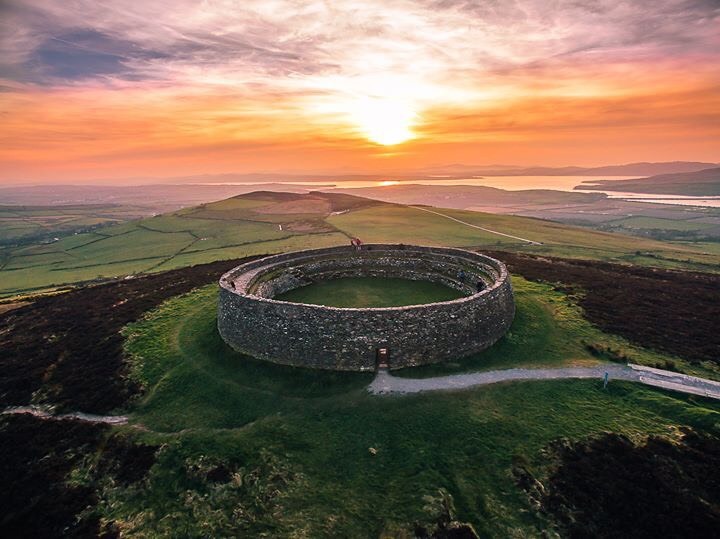 Further to the recent blog of the 19th of March, last, Classic Ireland Guided Tours have compiled a second suggested option to tour Ireland, this time covering the northern half of the country. 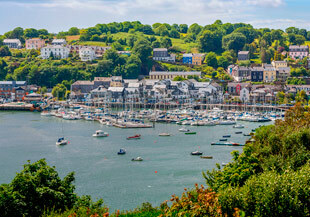 This 11 day tour includes many fascinating and historically significant locations and incorporates the highlights of half of Ireland’s Wild Atlantic Way. This itinerary is a suggestion, it can be altered or amended in any way to meet the individual preferences of visitors. Day (1) – collect at Dublin Airport. First stop Newgrange, one of Ireland’s UNESCO World Heritag Sites dating back over 5000 years. From Newgrange you will tour across the border to Belfast for a two night stay. Overnight; Belfast. Day (2) – In the morning a city tour including the ‘troubled’ areas of recent decades. Then to the Titanic Centre and Crumlin Road Jail for Guided Tours of these attractions. Overnight: Belfast. Day (3) – you leave Belfast and tour the scenic Antrim Coast Drive. Optional visit to the Giants Causeway en route. After Portrush, your tour heads across the border into County Donegal and specifically to Donegal Town for a three night stay. Overnight: Donegal Town. Day(4) – a leisurely day to West Donegal and to the stunning Slieve League. From here you return in the afternoon to Donegal Town for a guided tour of the beautifully maintained Donegal Castle. Overnight: Donegal Town. Day (5) You leave Donegal Town and head south through Yeats Country in County Sligo. You will visit the lovely seaside village of Mullaghmore. From here to Drumcliffe Church where WB Yeats is buried. Then further south to Galway City for a three night stay. Overnight: Galway City. Day (6) – a leisurely days tour. You tour to the lovely town of Westport, Co, Mayo. 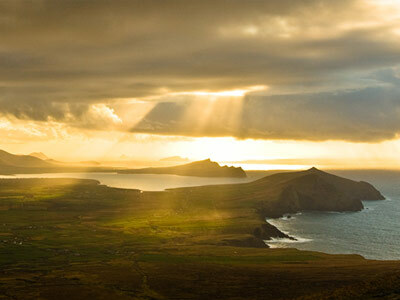 From here you tour west to Croagh Patrick, Ireland’s Holy Mountain. 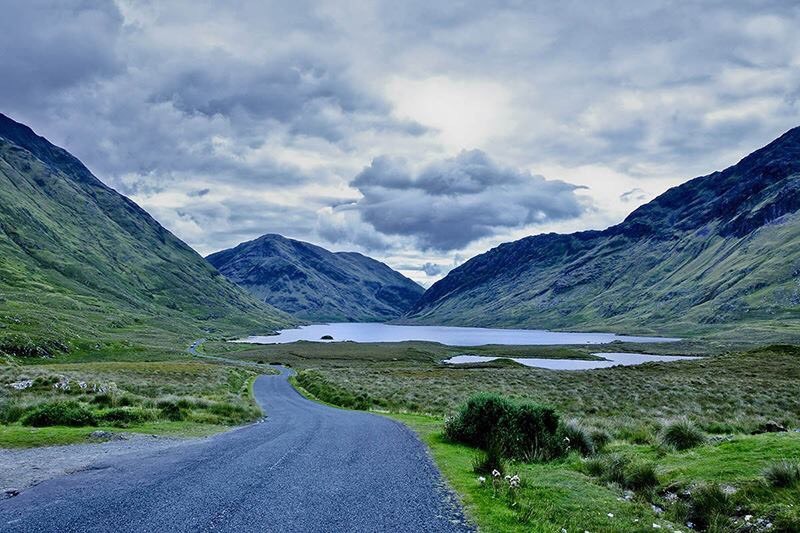 Then into the stunning Doolough Valley (picture above) and to Leenane, Co. Galway via Delphi. Then back to Galway City. Overnight: Galway City. Day (7) – another day of leisurely touring into Connemara. 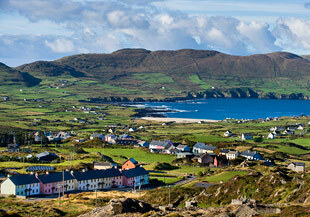 Taking the coast road out of Galway to Maam Cross you then tour to the lovely coastal village of Roundstone. 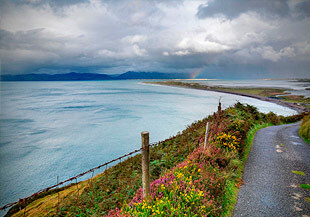 From here you follow the coast road to Clifden, Co, Galway, and then to the magnificent Kylemore Abbey for a visit. Then return to Galway City. Overnight: Galway City. Day (8) – you leave Galway and travel east to Clonmacnoise, one of the most important early Christian sites in Ireland. From here you head for Dublin for a three night stay. Overnight: Dublin. Day (9) – free day in Dublin to explore this historic city. Day (10) – another free day to explore Dublin and perhaps some shopping. Day (11) – you depart for home from Dublin Airport.